With 23 years of experience as a self-proclaimed “picky eater,” Jacky Lamenzo understands what it’s like being on the other side of the table. After overcoming a life-long fear of exploring new foods, she now coaches parents of picky eaters to help make mealtime less stressful. In addition, she coaches adult picky eaters overcome their fears. Her valuable perspective will give some insight on how love and encouragement from a parent can translate as pressure to a child. She shares tips on what worked (and didn’t work) for her, and what you can do to help your mealtime madness and restore peace at your dinner table. Take a deep breath. You're in a very supportive place! 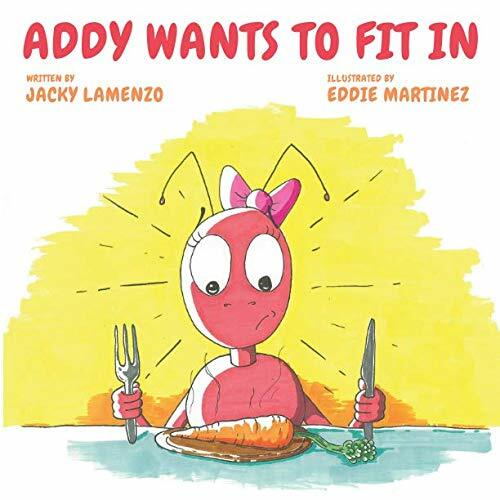 Addy Wants to Fit In - Now Available on Amazon!